On Bank Holiday Monday, 27 August, why not climb the 403 steps of the internal spiral staircase of Wainhouse Tower to take in the fantastic views from this fabulously ornate 77 metre (253 foot) high Victorian chimney! Unfortunately, the last time that you should have been able to go up the tower in May, it was snowing so much that the event had to be called off for safety reasons. Somehow, I don’t think that we will have the same problem this time! 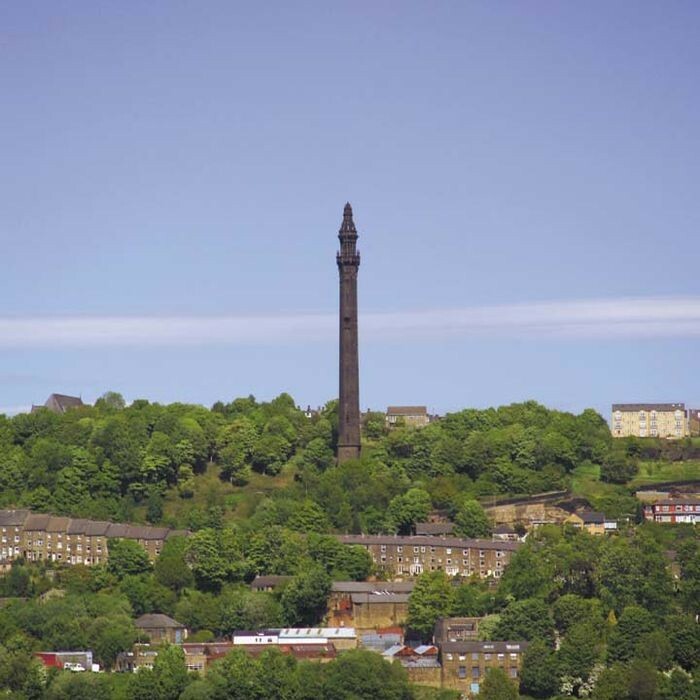 Wainhouse Tower will be open from 11:00am to 4:00pm (last ascent 3.30pm). Prices are Adult £3; Children & Adult Passport to Leisure Holders (PPL) £2.50; Child PPL £2; Family ticket ( 2 Adult & 2 Children ) £10. For further information please contact Dawn Mitchell on 07540 674307 or email dawn.mitchell@calderdale.gov.uk. For more on the history of the Tower, see: History of Wainhouse Tower.